After six year in waiting, the old fashioned hamburgers .. Wendy’s just opened a new store on Kapiti Coast . I was so excited and thrilled. The store address is 46 Main South Road near to Coastal Mall. 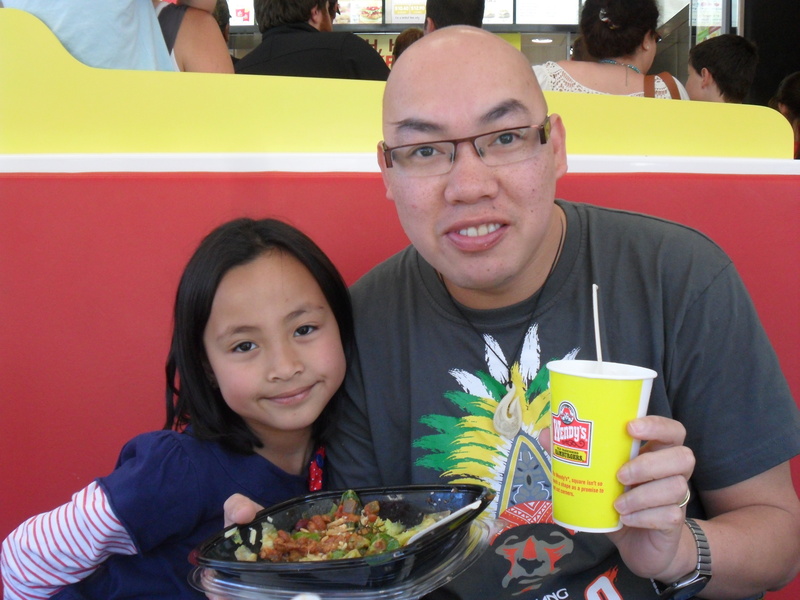 Last Tuesday, we went to Wendy’s Paraparaumu store to check the new outlet and reminiscing the old days I used to date my wife in one of the Wendy’s store back in Manila. A 30 minutes drive from Wellington City to Paraparaumu and we arrived around 1pm and the store were very busy . 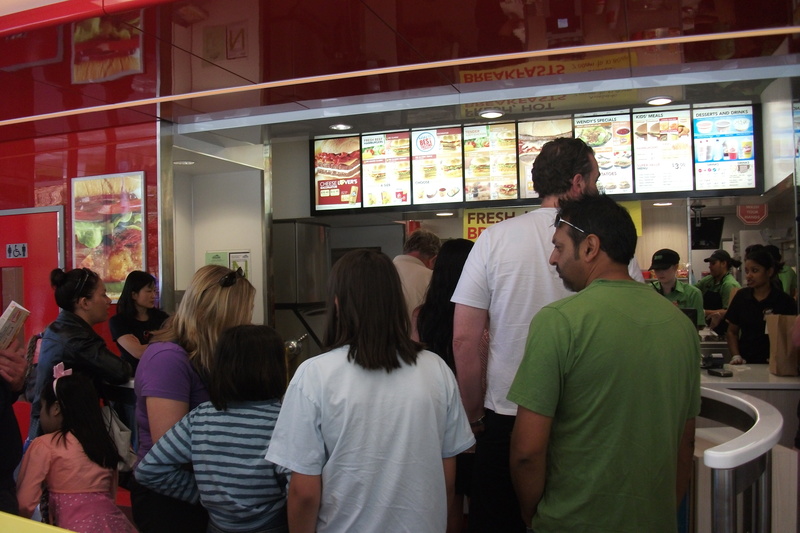 Like in a blockbuster movie,you have to fall in line just to get your favorite hamburger . The store is smaller than others in the country. Take me 20 minutes to order my Baconator, Ultimate Chicken Grill, Chicken Nuggets, Vanilla Frosty, Meaty Mexican Salad and fries cheese and Bacon. On the other hand, It’s worth waiting and we enjoyed the road trip and the quality of food is the best. 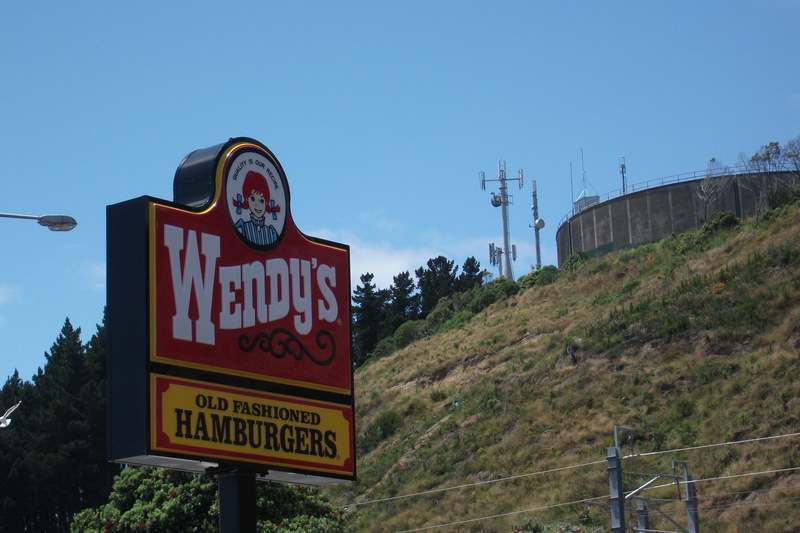 Wendy’s has stores in Auckland , Tauranga and Rotorua, and plans to open in other city centres including Hamilton early this year. 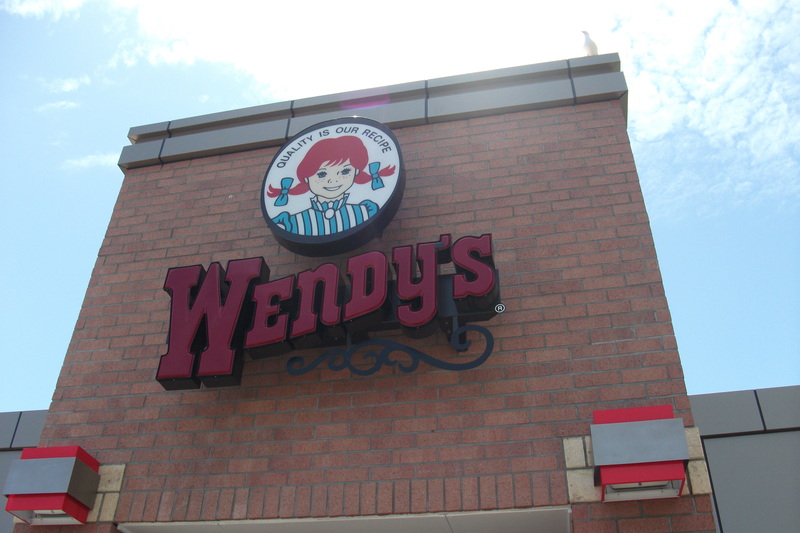 Wendy is an American fast food chain founded by Dave Thomas on November 15,1969 in Columbus, Ohio, USA. 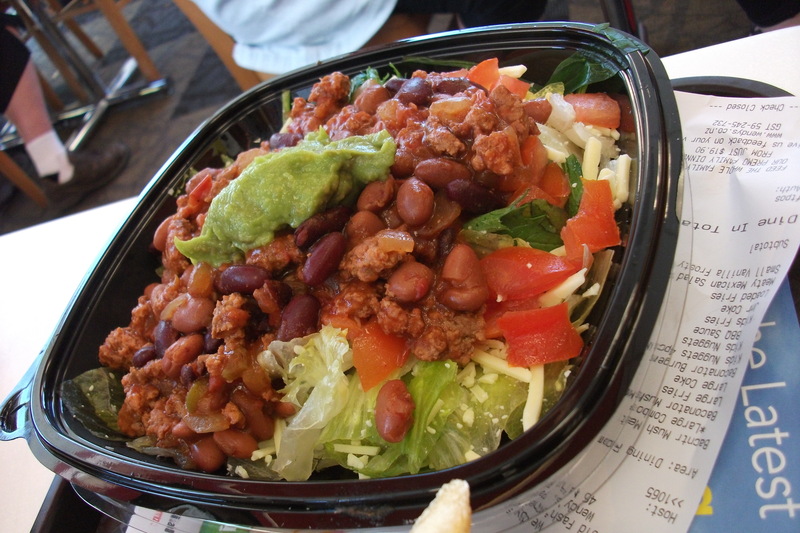 As of March 2010, Wendy’s was the world third largest hamburger fast food chain with approximately 6,650 location.